Spring has officially sprung in Berlin and I could not be happier despite anticipated sunburn and hay fever to come. The sky is blue, trees are that remarkable lime green colour and lots of pale legs are cycling the streets (mine included). With the weather warming up there is certain to be an increase of Southern Hemisphere friends making their way over to Europe for a cheeky vacay. Last year I had a lot of designer friends and friends-of reach out to me about visiting Berlin and what to do while they’re here. With that in mind, I thought it was high time to post my hit list for things to see and do if you’re a designer (or interested in design) visiting this glorious city. 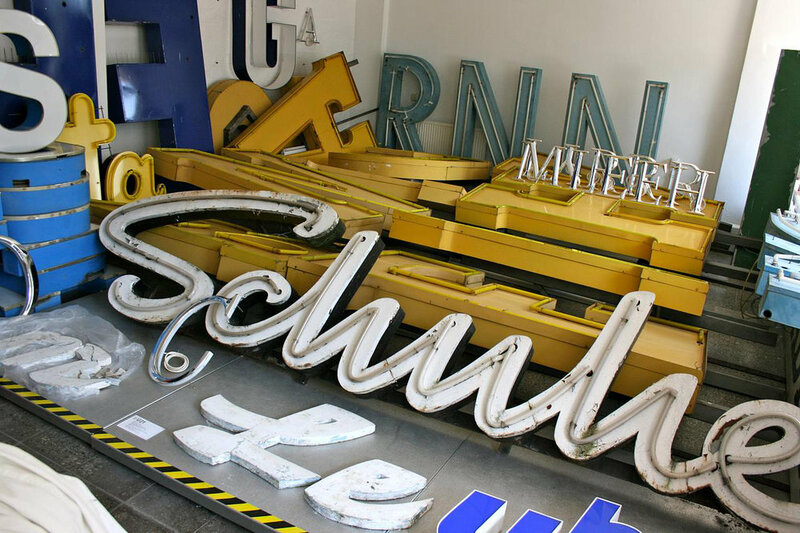 A must visit for typography lovers, this museum is filled with giant letters and neon signs that have been salvaged from old buildings around Germany. This art gallery is underground in a second world war bunker—very cool, very Berlin. It’s super popular so I recommend buying tickets online beforehand. Also make sure you book the English tour! Unless you speak German on course, but I’ve had friends make this mistake in the past. Art pieces, items, documents and literature relating to the Bauhaus School. It’s a rather small collection but the building is a great site for any Walter Gropius fan. Generally celebrating artists of a younger generation, König just reopened last week for Berlin Gallery Weekend. I’m yet to go but it’s on my list of places to check out this Summer! Ugh. I’m kinda torn putting this one on here, maybe because I’ve played tour guide one too many times with my own visitors. It’s the longest remaining part of the Berlin wall and is covered in artworks and murals. If you’ve never been I think it’s worth checking out—I just won’t be going with you! Haha. A popular book and magazine store with all of the things. You might spot people sporting tote bags and other cool merch they have for sale. Another book and magazine store, which might come as a surprise but if DVD stores are still kicking then books certainly have a fighting chance! Best described as a designer’s version of Ikea—or heaven. I recently and conveniently moved a 5 minute walk away so needless to say I’m there on the reg. My favourite section is amongst the wrapping paper but there is everything from metallic postage bags to DIY lamp shades. GOODBYE MONIEZ. Danish furniture, stationery and interior goods to die for. I am certainly not cool enough for this place but I often pop in for geez. Personally I’m too poor to pay 500 Euro for a white t-shirt but the people that work there sure make it all look good. Amongst the Acne you’ll also find PlayType posters, OurBerlin Vodka and beans by Companion Coffee Roasters. General store, kitchen and event space, you can sip good coffee and shop up a storm under this one roof. The high ceilings and hanging plants make any designer feel at home here. Another general store with designy goodies. If you fancy a workshop and some hands-on making while you’re here, check out the cool machines at Fablab. Located minutes from Mitte, this fabrication laboratory has laser cutters, 3D printers and lots of interesting projects going on. 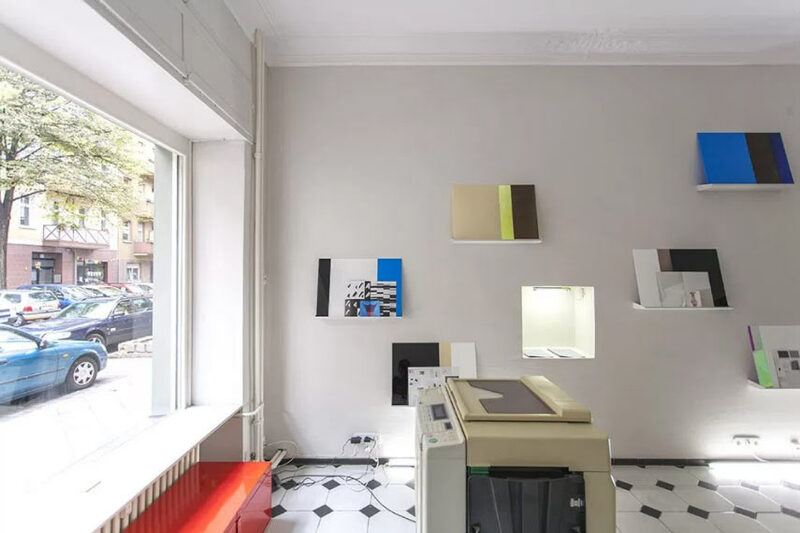 A cool risograph print studio, library and exhibition space. There are always different markets and events popping up in Summer around Berlin. Jump on Facebook and check out events going on near you as some might be on while you’re here! Honestly, there is just way too many to list! This guide is more for art, design and culture in Berlin but feel free to browse my map of places I’ve found while Berlin bound. You can also check out my On The Grid guide to Prenzlauer Berg (just one area of Berlin) and other neighbourhoods that other creatives in Berlin have curated. I could go on and on but I think I’ll leave it there for now. What are you waiting for? Grab your Euros, rent a bike and explore Berlin!